If the usual drop tests, under water tests, and even hammer tests aren’t doing it for you, then how about checking out RatedRR’s recent video on YouTube, pitting the Galaxy S5 from Samsung up against a M107A1 .50 Caliber sniper rifle? What is really nice about these videos is that the YouTuber spares no expense, giving us plenty of good-looking angles, on top of a few great slow-mo action shots. 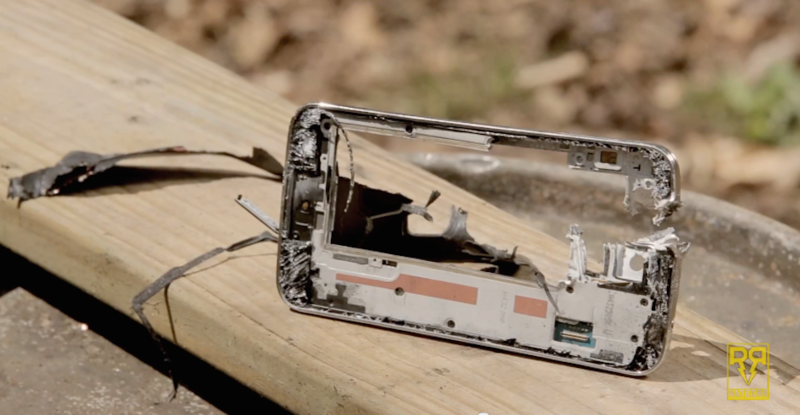 As you will see, the Galaxy S5 stands absolutely zero chance against the rifle. May it rest in peace. While the hammer video takes the cake for foolishness, this one definitely gets a gold star for being bad a**.